AddressThe address for this sale in Shawnee, KS 66216 will no longer be shown since it has already ended. Cash and all credit cards accepted. We do not provide help with furniture, please bring movers or ask for our movers list. Three Day maximum to pick up furniture. 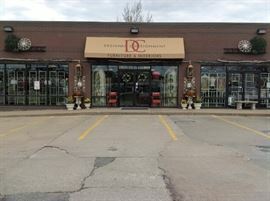 Designer Consignment Furniture and Interiors, a family owned store in Shawnee, KS for over 14 years is MOVING! We are having a Brick and Mortar Sale 50% off store wide furniture and interiors. We are moving to the Historic West Bottoms 1st floor storefront at 1300 W. 13th Street in the Stowe Hardware Building.